Youth boosting anti wrinkle treatment, with powerful youth boosting ingredients combined with exfoliation to target lines, wrinkles and delivers immediate and dramatic results. While a potent mask packed with antioxidants plumps and firms the skin. 1hr 15min treatment for £46.00, normally £55.00. A facial for your back, following our unique back diagnostic massage to relax, a skin – brightening exfoliation and mask is used to target spots, blackheads and general congestion a must for pre-weddings and holidays. 30 mins for £20.00, normally £30.00. Into the Wild! 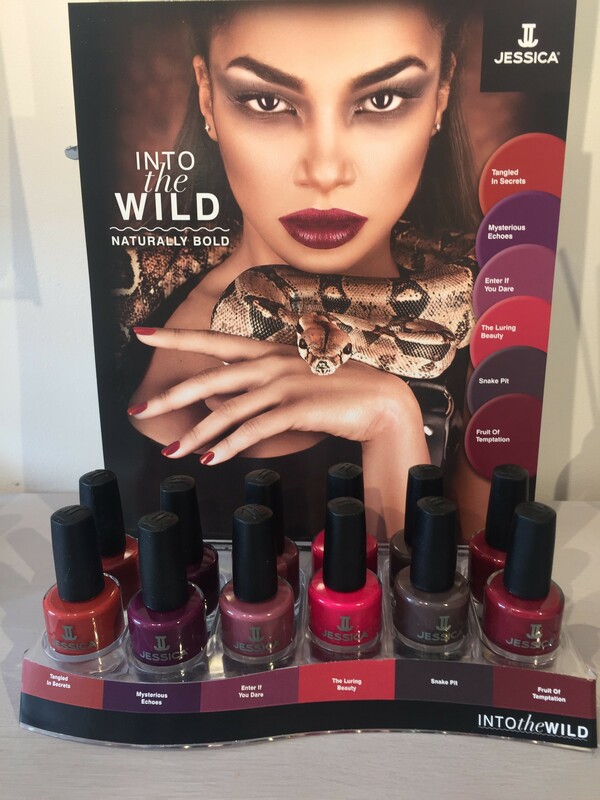 Check out the new Autumn Winter Nail Polishes in the Salon Now!!!! We also sell gift vouchers that are valid for one year.